Modern and elegant, the Lotus diffuser provides an aromatic and serene essential oil experience. 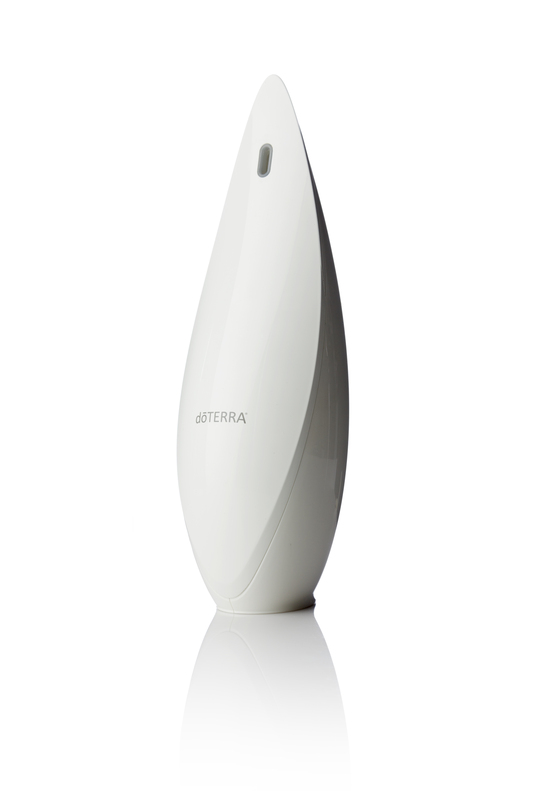 This high quality diffuser quickly releases the therapeutic benefits of doTERRA essential oils into the air without a sound, and can run for up to three hours. The contemporary look of the Lotus diffuser provides a decorative piece to any home or office, while emitting an ultra-fine, soothing mist of CPTG® essential oils that covers up to 330 square feet. The Lotus diffuser has three settings—1, 2, and 3 hours—and features an optional soft-white night light. The front panel is easily removed for quick access to the reservoir and cleaning. The Lotus provides state-of-the-art diffuser technology and an exclusive, modern design for essential oil diffusion that promotes health and vitality.